Glenmore River is a contemplative painting with oppositions, movement and balance, created by the opposing the riverbanks and their individual constituents. 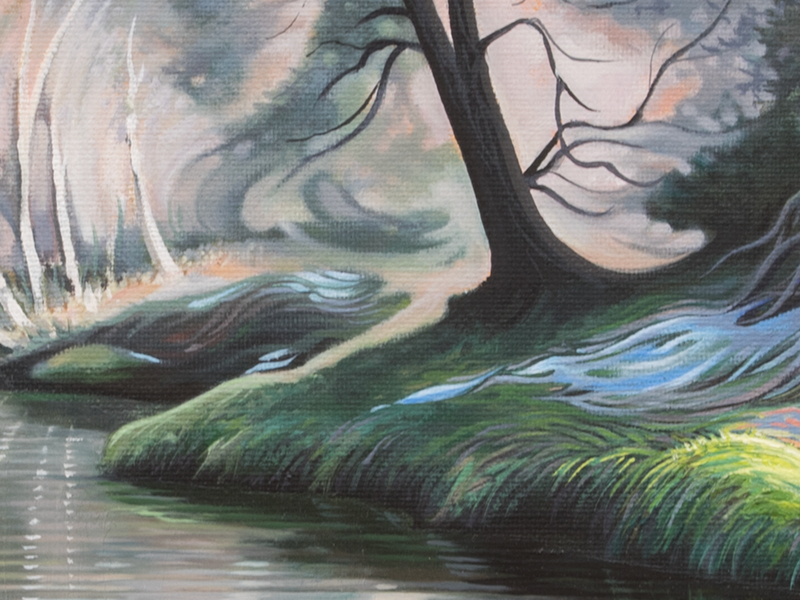 Glenmore River is a cool but playful painting based on one of the estuaries leading to Loch Morlich. I continue to experiment with multiple techniques to further enhance the sense of depth, as well as imbuing an ethereal quality to the piece by exaggerating the flow of the tree branches. 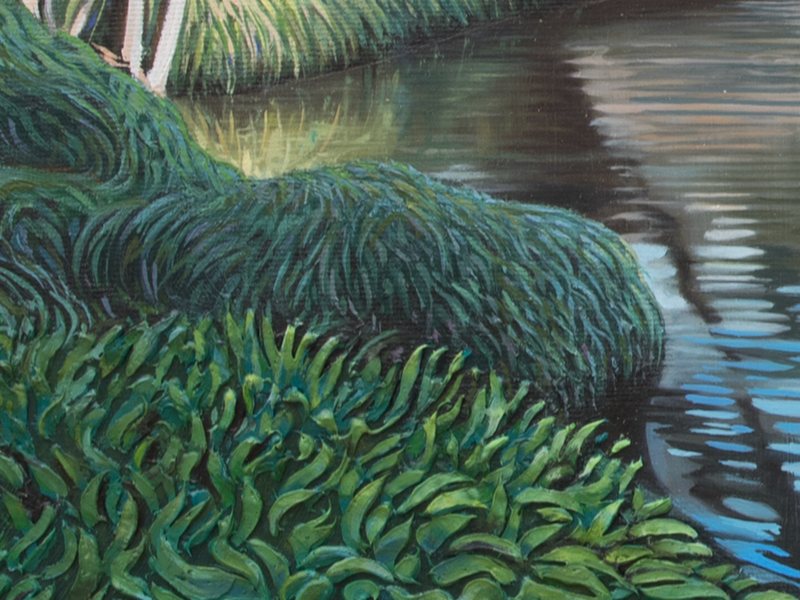 With every painting, I always try something new and in this one, it was the water and the foreground grass. With the water, I wanted to fill all the teeth of the canvas so that I could get a really smooth surface on which to paint the detail. So I blocked it in with a palette knife and then used a blending brush to smooth it out. This painting has always felt quite playful to me. Perhaps because of the grass in the foreground or the sense of movement in the trees. It's another one of those paintings where you're led into the painting and want to know what's around the corner of the river.